The question of salvation from sin should be one that captures the attention of everyone. If we are aware that we stand before our holy God as guilty and condemned, we should desperately want to know how we can escape God’s coming wrath! This should be an issue that fills our mind and heart until we can discover God’s truth and then we should run to Him for mercy so that we will be able to rid ourselves of sin’s guilt. Although some people vainly deny sin and reject the idea that they need God’s grace, most people have at least some sense of their spiritual need. There are many thousands of different denominations, churches, sects, and cults in today’s world that assume they have the answer to the question of how to be saved from sin. They have formulated their answers and often written them in their denominational confessions of faith, thus they feel spiritually secure. Sadly, the answers on what one must do to be saved are varied. Some churches contend for one answer, while other churches seek to defend a different answer. Many of these answers are diametrically opposed to the others. The American Restoration Movement arose about 200 years ago in the Pennsylvania, Ohio, Virginia (West Virginia), and Kentucky regions of the infant United States of America. Through the efforts of Thomas and Alexander Campbell, Barton W. Stone, Walter Scott, and other devoted and capable men, people in different denominations chose to leave their religious backgrounds and initiate a movement to restore the “New Testament order of things.” This included proper beliefs and practices that they believed represented the way of Christ and the apostles, as taught and practiced in the first century but lost shortly after the New Testament period, and especially after the time of Constantine and continuing during the apostasy of the middle ages. From this beginning two centuries ago, three general groups emerged. The left or most liberal branch is known today as the Disciples of Christ denomination (sometimes called the Christian Church), and this organization has departed from virtually all of the foundation principles of literal obedience to the Word of God. The centrist branch is also generally known as the Christian Church (although sometimes it takes the label, The Church of Christ). The right or conservative branch is always known as the Church of Christ. This branch generally has more respect for the teachings of the Bible. Within this branch, there are five or six main groups, with about a dozen smaller ones. These groups range from liberal to very conservative. Congregations may range from 5,000 members down to less than a dozen members. The conservative branch, known as the Church of Christ, teaches what they like to call “the Plan of Salvation.” This is a term that can be applied to everything related to salvation—including God’s plan to save us from sin through Jesus Christ but also including what man must do to respond to God for forgiveness of sin. In many or even most of these congregations, the so-called “Plan of Salvation” has come especially to mean what we must do to be saved, with particular emphasis on baptism into Christ. God’s amazing plan of salvation was conceived prior to creation. Before the stars graced the sky, before the earth was formed, before man was made in God’s image, our infinitely wise and loving Creator purposed to save lost and sinful humanity through His beloved Son. (cf. Ephesians 1:9-12; 3:8-11; 1 Peter 1:20-21; Revelation 13:8; John 1:1-5). This plan finds its center and fulfillment in the Lord Jesus Christ. At the proper time God sent His Son, that through Him we might be redeemed and delivered from this present evil age “according to the will of our God and Father” (Galatians 4:4-5; 1:4). God is clearly revealed as the source of our salvation. The psalmists continually cried out, “Salvation belongs to the LORD” (Psalm 3:8). They repeatedly wrote of “the God of our salvation” (Psalms 65:5; 79:9; 85:4). But it is in the new covenant writings that salvation particularly takes on spiritual dimensions and is related to both God the Father and Christ Jesus our Lord. Paul often refers to “God our Savior” (Titus 1:3; 2:10; 3:4) and “Christ Jesus our Savior” (Titus 1:4; cf. 2:13; 3:6). John saw a great multitude before the heavenly throne shouting, “Salvation to our God who sits on the throne, and to the Lamb” (Revelation 7:10). The truth that God is the source of salvation is nicely summed up by Paul in these significant words: “God . . . has saved us, and called us with a holy calling, not according to our works, but according to His own purpose and grace which was granted us in Christ Jesus from all eternity, but now has been revealed by the appearing of our Savior Christ Jesus” (2 Timothy 1:8b-10a). From this we observe that God is the source of our salvation and He saves through His Son, Christ Jesus—who Himself is also said to save (1 Timothy 1:15). Our salvation is particularly related to the death and resurrection of the Lord Jesus Christ. It was by His death for us and for our sin, that Christ provided the basis of justification (being accepted as righteous by God) and reconciliation (united with God), demonstrated the immeasurable love of God, and will save us from the wrath and judgment to come (cf. Romans 3:24-25; 5:6-11). It was by His resurrection that Jesus was vindicated by God, declared to be His Son and Lord of all, was exalted to supremacy in heaven, and is the guarantee of our own resurrection (cf. Romans 1:4; 14:9; Philippians 2:9-11; 1 Corinthians 15:20-22; John 14:19). Salvation from sin, death and judgment is thus based upon God’s activity in Christ and is focused upon the historical events of Christ’s death and resurrection. God’s offer of great forgiveness is given to us in Christ and, conversely, our response to Him must be one focused upon Christ and what He has done on our behalf. Those who are dead in sin are called upon to believe in the true and living God as revealed in Scripture, who sent His Son for our redemption (cf. John 5:24; 1 Peter 1:20-21; Acts 17:24-31). They must believe that Jesus, who came in the flesh, was and is God’s Son who was anointed by God to be King (i.e. “Christ”), who indeed is Lord of all and Savior of mankind (1 John 4:2; John 1:14; 3:16-18; 3:36; 20:30-31; Acts 16:30-31; Galatians 3:26). They must believe in the objective facts of the “gospel”—that Jesus truly did die and offer His blood for them and for their sins, and was raised in triumph over death (Romans 3:24-25; 4:24-25; 1 Corinthians 15:1-5). They must cease trusting in themselves and their own achievements and righteousness, and transfer their trust in the God of grace for their eternal salvation, and right standing with Him (Romans 9:30-10:4; Luke 18:9; 2 Corinthians 1:9). They must have a change of heart and mind regarding God and sin. They must determine to turn from all sin of which they are aware, from all that would displease their Creator, and purpose to live for Christ henceforth in absolute obedience to His will (cf. Acts 3:19; 17:30-31). They must “dethrone” self and confess that Jesus Himself is Lord, the very Son of God, and is worthy of all honor and devotion (Romans 10:9-13; cf. Philippians 2:9-11). Upon the sinner’s repentance and in acknowledgment of his faith in Christ, the individual is called upon to be baptized in the name of the Lord Jesus Christ. In complete surrender of his will and in reliance upon the work of God through Christ, one must be buried with Christ in baptism, rising to walk in newness of life, with sins forgiven and indwelt by the Spirit of God (Romans 6:3-6; Acts 2:36-41; 8:35-39; 22:16; Colossians 2:12; Galatians 3:26-27). It is evident that just as God is the origin and source of the universe, so He is the originator and focus of salvation. He planned and accomplished our redemption in His Son, Christ Jesus, and offers forgiveness to all who will turn from themselves to Him in penitent faith. Salvation is of the Lord our God! This is the “gospel” or “good news of . . . salvation” to which we must respond if we would be eternally blessed by our God (Ephesians 1:13-14). It should be obvious from the foregoing discussion that many today have misconceptions with reference to what God has done to save us. Many are confused about the basis or ground of salvation and the person of Christ. It is not our purpose at this time to explore further these vital themes. We might observe, however, that most people are just as confused regarding what one must do to be saved from the sin which causes every responsible person to come under God’s righteous judgment and will result in the failure of the vast majority to inherit eternal life. These misconceptions plainly exist in the world at large. Most people on earth have neither heard and understood the gospel of salvation nor have they understood how one is to respond to it to be saved from sin. Beyond this, the majority of “religious” people and “church members” have likewise failed to comprehend the real significance of the gospel and what one must do to receive forgiveness. People can be faithful members of their respective churches, attend “services” each week, and be active in religious work, yet be entirely oblivious to God’s plan of salvation and how they can receive eternal life from Him. It is our belief that the answer commonly given to this question fails to do complete justice to Biblical teaching and practice. The “church of Christ” has developed a set form, a religious formula, that often, if not generally, overlooks the real significance of the gospel of Jesus Christ and represents an attempt to save oneself. We do not wish to overlook the bold and continued effort these churches have made to rightfully correct abuses they have seen in the denominational world (abuses, even false doctrine, that surely need correction). We do, however, have a sense of obligation to point out those elements which need further correction, those factors which overlook basic parts of the gospel, and those items which fail to reflect all the teaching of Scripture. We want to be helpful and constructive to the glory of God and for the benefit of those who perhaps think they are saved but have not in truth been rescued from the sin that condemns them (cf. Acts 23:1; Romans 10:3; Philippians 3:8-9). I love these people who are associated with the groups known as “churches of Christ.” They are among the most upstanding people in the country. In many ways they are religiously conservative and are firm believers in the inspiration and authority of the Scriptures. Although in recent decades there has been a widespread decrease in zeal, devotion, separation from the world, and Biblical knowledge, at one time these were in great evidence. We might also observe that liberalism has made great advances into the Church, in large part because of the influence of “Christian” colleges and universities as well as influence from the religious world around them. This is indeed changing the landscape within the non-instrumental churches of the twenty-first century and moving the “right” wing of the Restoration Movement toward the center, where the instrumental Christian Church has been for some years. I have probably visited a hundred or more different congregations from New England to California, from Washington to Florida, and particularly those in the Southern “Bible Belt.” I have spoken from several of their pulpits. I have sought out and visited not only the common, main line congregations, but also various of the smaller factions. [iv] Over the years I have read scores of books and subscribed to numerous periodicals written by members. I only record these items to indicate that I am thoroughly familiar with the history, background, doctrine, organization, practice, and preaching of those about whom I write. There is one matter that must be added at this point. Much that I will write here pertains to the traditional views of the churches in the past decades. We acknowledge that in more recent years, there has been a clearer understanding of God’s grace, of Christ’s good news of salvation, and of the basis of our redemption. I’ve observed that more are articulating the truths of the gospel in a more balanced and wholesome way. We can rejoice in this! At the same time, we have been dismayed to notice that many of these newer and more Christ-centered congregations are falling into deep worldliness and extensive institutionalism, so much so that there is little difference between the members and those of the denominational world around them! God not only wants a proper emphasis on His part of salvation and of human response, but He also wants changed lives as a result! Let us now focus on the main subject of this discussion: the response for salvation demanded by these churches. Before proceeding further it is interesting to note that many members use the term “Plan of Salvation” to refer to what man does to be forgiven, or the so-called “conditions of salvation,” rather than God’s provision of salvation in Christ Jesus. This in itself is significant in revealing the man-centered emphasis generally held by the members. The stress is laid upon man’s activity rather than God’s saving work. Some seem to be convinced that the main relationship Jesus bears to this supposed “plan of salvation” is that He had the authority to “give the conditions of salvation ” by which man could be saved from sin. We need to emphasize a point at this time which will have application to all we notice on the succeeding pages. Whatever a person does to be saved from sin must have a direct relationship to what God has done in Christ for our salvation. We are not prepared to do anything unless we realize what Christ Jesus has done on our behalf to save us from sin, death and condemnation! This is why “Jesus Christ was publicly portrayed as crucified” in first century preaching (Galatians 2:1). This is the reason early proclaimers (or preachers) determined to “know nothing” except “Jesus Christ, and Him crucified” (1 Corinthians 2:1; cf. 1:18, 23-24; 3:11). Only when the sinner was impressed with Christ Jesus Himself and His saving, atoning work, was he prepared to respond to God to be saved! Another revealing term used frequently among these churches is the “steps of salvation” which, according to their reckoning, number five: Hearing, Belief, Repentance, Confession, and Baptism. Let us examine these steps, noticing the meaning attached to each of them. The Church claims that one must first “hear” the gospel in order to be saved by it. This much is clearly true. Paul declared, “Whoever will call upon the name of the Lord will be saved” (Romans 10:13). He then asks, “How then shall they call upon Him in whom they have not believed? And how shall they believe in Him whom they have not heard?” (v.14a). He continues, “Faith comes from hearing, and hearing by the word of Christ” (verse 17). Hearing the gospel precedes believing it. Throughout the new covenant writings people did hear the message of the crucified and risen Lord and were thereby led to faith and salvation (cf. Acts 2:37; 4:4; 10:22, 23; 15:7; 16:14; 18:8; Ephesians 1:13; 1 Corinthians 15:1-2; 2 Timothy 4:17). However, we encounter a problem with “hearing” even among these churches. A sermon may be presented exposing the evils of some immoral practice, the lack of authority for instrumental music, the frequency of the Lord’s supper, the requirements of church organization, or the “marks of the one true church” (? ), then an “invitation” is given to respond to the sermon and thus be saved. We can see how misconstrued this first “step” of salvation truly is. As Paul would ask, “How shall they believe in Him whom they have not heard?” Unless people “hear” the gospel in either a private or public setting, they cannot respond to it. Unless people “hear” the good news of a crucified and risen Savior and “hear” the meaning of the saving events of the good news carefully delineated, they cannot be led to saving faith (1 Corinthians 1:23-24; 2:2; Galatians 3:1-2). They may be persuaded through hearing that their denominational affiliation is wrong, but they may not understand how they stand under God’s judgment because of their self-centered lives, materialism, corrupt character, and relegating God to a small compartment of their lives. They are not prepared to respond to the gospel until they “hear” that they are lost sinners, that God has sent Christ into the world to deal with the sin problem, and that He wants to save them and give them a new life. Continually, in sermons and on the printed page, “belief” is stressed as the second “step” of salvation. People are instructed to “believe that Jesus is the Son of God.” This is the major emphasis when it comes to faith. This plainly is a needed emphasis, but, as usually presented, it is also insufficient with regard to one’s response for salvation. Faith has to do with the whole person, including his intellect, his emotions, and his will. This complete faith–one that saves—includes at least three aspects. Let us notice each one. First, Biblical faith is related to the mind. It has an intellectual dimension. One must believe certain Biblical facts or propositions about God: that God exists (Hebrews 11:6), that He sent His beloved Son (John 5:24) and raised Him from the dead (Romans 4:24), and now justifies (accepts as righteous) the ungodly (Romans 4:5). One must particularly believe as true certain facts about Jesus: that He is the Son of God (John 20:31); that He is the One anointed by God (the Messiah or Christ) (1 John 5:1); that He is Lord (Acts 2:36; 16:31; Romans 10:9-10) and Savior (cf. John 4:41-42; 1 John 4:14). Additionally, one must believe the factuality of the gospel (good news) of Christ: that He was sent by God (John 17:21), came in the flesh (1 John 4:2), died for our sins (John 3:14-16; 1 Corinthians 1:18, 21; 15:1-3), and was raised from the dead (Romans 10:9-10; 1 Corinthians 15:1-4, 17). These facts are vital and must be the object of faith. Even here we should observe that the factual “belief” demanded by “churches of Christ” may fall short of a complete faith sometimes, for the basic demand is merely for a belief in Jesus’ Sonship. Granted, this is essential and basic, but, as just noted, intellectual belief of facts is more extensive and pertains in a special way to God’s saving activity in Christ. Christ could have been God’s Son, but if He had not died or if His death was not sacrificial or propitiatory, He would not be Savior. He had to be Sin-bearer as well as divine! Furthermore, a mental faith relating to certain factual or historical matters is insufficient. The demons themselves believe “that God is one” but they are lost (James 2:19; cf. Matthew 8:28-29; Mark 3:11). Evil spirits believe (or know) that Jesus is the “holy One of God” (Mark 1:24), but they remain unsaved. People may believe certain things about God or Christ, but if it goes no further, they cannot be saved (cf. John 12:42-43; Acts 26:27). A mere intellectual, barren “faith” cannot avail (cf. James 2:14). Secondly, there is what may be called an emotional element. (Even here the mind is involved in this aspect as well.) Faith must reach the depths of a person’s heart and inner being! This aspect of faith has to do with a confident trust and reliance upon the object of the faith. A man may believe that Dr. Jones is a physician and that he has been practicing for many years, but he may not trust him as a doctor or be willing to place himself in the doctor’s care. The sinner must cease trusting in himself, in his own assumed righteousness or goodness, in his morality, or in his personal achievements. He must begin to trust in or rely wholly upon God through Christ for salvation. Luke refers to the Pharisees who “trusted in themselves that they were righteous” (Luke 18:9). We must not trust in ourselves and our capabilities to achieve our own salvation. Our trust must be transferred to the Lord Jesus who carried our sins to the cross (cf. Romans 9:30-10:4; Philippians 3:4-9). The essence of faith is dependence. Upon what or whom do we depend? In our everyday lives, we depend on a chair to hold us up. We depend on tap water to be safe to drink. What or whom do we depend on for our spiritual security and eternal welfare? A sinner must transfer dependence and confidence from his own merits (realizing they count for nothing in regard to salvation), and recognize that the merit of salvation or ground of salvation is to be found in Christ alone! It is not through a man’s works or righteous acts that he is saved, but through the saving work of Christ on his behalf (Ephesians 2:8-9; Titus 3:5; Philippians 3:7-8). Regretfully, this dimension of faith is seldom expounded and consequently frequently not experienced. People are content to “believe that” Jesus is the Son of God, but fail to “believe in” the Son of God. To believe “in,” “into,” or “upon” Christ Himself is placing our trust in Him to graciously accept us on the basis of His merits since we are entirely unworthy and helpless (cf. John 3:14-16; 6:29; 12:46; Romans 3:22; Acts 14:23). Instead of trusting the all-sufficient sacrifice of Jesus in which He offered His blood for our redemption, too often people trust their understanding, their submission to the “five steps of salvation,” their “obedience to the gospel,” their submission to God’s plan, their act of baptism, or their membership in the “true church” on earth. The trust element is largely misplaced. The dependence is upon their personally having “obeyed” in conversion and in their daily life, rather than a dependence upon the achievement of God and the obedience of the Crucified Son (cf. Romans 5:18-21). Salvation is by atonement, not attainment; by believing, not achieving! Faith must be seen as more than simply a “step” that leads to something greater. It is more than a motivation to obey. It definitely is this (cf. Hebrews 11:8, 17), but it is much more. It is a principle which focuses upon the One who is Himself Savior. If this facet of faith is missing, such a faith fails to receive the salvation promised to the believer. Thirdly, faith, if it is a true Biblical kind, is related to the will. The will is surrendered. The whole person is submitted to God and seeks to please Him. The faith is so whole-hearted that the sinner yields his will to the object of his faith. This is why a genuine, saving faith will result in a life of good works. It is a faith that acts, that demonstrates itself, that is seen in overt activity (cf. James 2:14-26; Hebrews 11). This is not to say that godly activity or righteous works are included in the faith, but genuine faith that includes a surrendered will surely will work—or it proves to be inauthentic. “Faith, if it has no works, is dead, being by itself” (James 2:17). Some in the religious fold emphasize the mental aspect of faith: the acceptance of Biblical truth. Others stress the emotional element: a trust in God to save through Christ. However, this third dimension is of great consequence and should receive like emphasis. Perhaps this is why the new covenant writings repeatedly refer to obedience: obedience from the heart, obedience to the faith, obedience to the good news, and obedience to Christ—all in the context of salvation (cf. Romans 6:17; Acts 6:7; Romans 10:16; Hebrews 5:9). Belief and obedience are occasionally even used interchangeably, indicating the comprehensive nature of faith (carefully compare Hebrews 3:18-19; John 3:36; Romans 11:20, 30; 1 Peter 2:7-8; Acts 14:1-2, margin; all from the NASB). Faith, therefore, must be seen as a broad principle, including acceptance of facts as true, reliance upon God’s saving activity in Christ, and entire yielding of oneself to the Lord with the willingness to live a life of obedience. Regretfully, many on the rolls of the “churches of Christ” have neither had such a faith when they claim to have been saved, nor do they exercise such a faith presently, after they assume they have been saved. Quite often a limited, defective faith is demanded at the point of “conversion,” and such a faith continues to be the common, but deficient, experience of so many. We might well ask, “Can that faith save him? (cf. James 2:14). A complete faith of the whole person, consisting of these several aspects, must not be considered as a condition having been arbitrarily chosen by God from many possible conditions. Faith is the natural response of a helpless sinner to a faithful God. Trust is the only reasonable attitude on the part of man when he is impressed with a God who is trustworthy. When God sets forth Christ as the one who bore our sin in His body, was raised from the dead to new life, and now is “exalted . . . as a Prince and a Savior,” faith is the expected, reasonable, and essential response (with all that this entails). When Jesus is set forth as Lord of glory, having all authority in heaven and earth, the reasonable corresponding attitude is one of yielding our independence, utter submission of the will, and acknowledgment of our complete dependence upon Him. Thus, whatever response God may call upon us to make to be saved is directly related to Him, His character, and His saving actions, as well as the person and saving activity of His Son. This leads us to what the Church calls the “third step” of salvation. Among the fellowship known as the “Churches of Christ,” repentance is declared to be an essential ingredient for salvation. The Bible clearly substantiates this. Our Lord declared that “repentance for forgiveness of sins should be proclaimed in His [Christ’s] name to all the nations” (Luke 24:47). Peter called upon the lost of his day, “Repent therefore and return, that your sins may be wiped away” (Acts 3:19). This was the consistent response demanded by first century heralds of the saving message (cf. Acts 2:38; 5:31; 17:30; cf. 26:18). Paul proclaimed “repentance toward God and faith in our Lord Jesus Christ” (Acts 20:21). Although repentance is stressed as “a requirement” for salvation, or as a “condition” of forgiveness, so often it is a superficial change of belief regarding some aspect of Biblical practice or a whole range of practices. A person may hear a sermon, see a filmstrip [or video], or read a tract on “The Church of Christ.” Or perhaps the lesson treats the subject of why instrumental music, speaking in tongues, religious holidays, denominational organization, or other items are invalid for today or wrong for us to practice. Maybe the topic pertains to some aspect of family life or morality. The sinner, perhaps a member of some denomination or a family member, is then called upon to “repent” and be saved. Multitudes of people have responded in just this way, convinced that they must leave a false church and become a member of the “Church of Christ,” or convinced that they need to “get baptized” to be saved. (Whether this is true or not is not the point. The point is that many are not converted to Christ Himself!) Thus they repent of one or more doctrinal aberrations that they once accepted and are promptly “baptized”! Unfortunately, such a person goes down into the water as a dry sinner and comes up a wet one! What is wrong with this procedure? Among other things, there is no deep, lasting, heart-rending, life-changing response from the heart. People are not drastically changed inwardly, thus they do not have a sweeping, all-embracing change outwardly! If people are converted to a so-called “Plan of Salvation,” while failing to perceive the real meaning of the gospel, we should not be that surprised that they give evidence of being “worldly-minded, devoid of the Spirit” or “follow mere natural instincts and do not have the Spirit” (Jude 19, NAS, NIV). Should we really wonder why the “church members” live the same worldly, selfish, fleshly, pleasure-loving lives as everyone else does? There has been no radical “turn-around” from the heart. They like the same things, go to the same attractions, do the same things, have fellowship with the same crowd at school or on the job, speak the same way, relate to people the same way, dress the same way, and manifest the same attitudes. Listen to conversations before and after the so-called “services.” You will hear enthusiastic bantering about the ball game, youthful bragging about last night’s date, worldly chatter about everything from a brother’s new luxury car or plans to visit a popular restaurant to a sister’s advancement in her chosen career or a raving comment about a favorite TV program. (Once we even heard the score of a ball game currently in progress announced from the pulpit!) Do you hear praise and blessing of the Lord among the people? Do you hear words of love and compassion for saint and sinner, words of encouragement for those under trial, words of joy over victories in Christ, and those who are saved? (Notice what should be our experience at Romans 12:15; Hebrews 10:23-25; 3:13; Malachi 3:16). Truly, “the mouth speaks out of that which fills the heart,” as our Lord said (Matthew 12:34; cf. vv. 33-37). If the speech has not been changed, the heart has not been transformed. Initial repentance has been lacking or at least incomplete. Or, perhaps, the world has contaminated the group as a whole, bringing with it a dreadful spiritual disease and death. Repentance is again needed: “You have left your first love. Remember therefore from where you have fallen, and repent and do the deeds you did at first” (Revelation 2:4, 5). We see people calling themselves “Christians” and claiming membership in the “Church of Christ” who are little, if any, different from “outsiders” of the world. People continue to watch the same carnal TV programs; listen to the same radio; play the same computer games; peruse the same materialistic, secular, humanistic magazines; surf the web in the same way; are enthralled by the same recreational activities and amusements; attend the same sports events; and run after many of the same worldly pleasures as do their unsaved neighbors. They continue to live the same affluent lives, drive the same luxurious Cadillacs, strive for advancement and higher paychecks in their compromising occupations and jobs, take pride in the furnishings of their spacious homes, and spend their money the same careless, selfish, and irresponsible way as do those who are entirely irreligious. They continue membership in the same lodges and social organizations, are captivated by the same worldly fashion trends, are entranced by the same political-nationalistic-military propaganda, and seek the same social standing as do others not claiming to be true believers. They may be hooked on the same tobacco habit; partake of the same social drinking; crave the same soft drinks; and hunger for the same “junk foods,” gluttony, overweight, or obesity as do their unregenerate acquaintances. They likewise are responsible for similar marital discord, fighting, argumentation and divorce (and even remarriage! ); the same irresponsible child discipline and nurture; disrespect of parents; send their children to the same worldly state schools, and succumb to the same dispositional and attitudinal problems, interpersonal disturbances, unforgiveness, and a general lack of outgoing love and concern as do those who have never heard the gospel of Jesus Christ. Many do not have and never have had an insatiable appetite for spiritual things. They simply do not truly hunger for Go! They fail to read and study God’s marvelous written Word; find singing spiritual songs and hymns disagreeable; seldom pray and give thanks to the Lord; never fast for spiritual reasons; treat the Lord’s day little different from any other day; consider it a burdensome but necessary duty to go the meetings; and in general “set their minds on earthly things” rather than” the things above” where Christ sits in glory (Philippians 3:19; Colossians 3:1-2). We realize that some of this does not describe all the membership we are considering, but regretfully some of it does characterize many of the members! Although they may have made an overt religious response of some kind in what they assumed was Biblical baptism, the inside remains the same, therefore the outside behavior and relationships are unchanged—or changed so little as to be negligible. They may hold “a form of godliness,” but “have denied its power” to effectively and dramatically change one’s lifestyle (cf. 2 Timothy 3:5). They may be good, upstanding, faithful “church members,” a degree or two above the “common person” of the street or the religious world, but their lives have not been radically changed and spiritually transformed so as to reflect Christ at work within. Like the Jews who practiced an external, fleshly circumcision but were as unchanged as the uncircumcised Gentiles on the inside, many church members have gone through an outward rite of “baptism,” but are as unchanged inwardly as their unbaptized neighbors. The Jews were “circumcised and yet uncircumcised” (Jeremiah 9:25), and many so-called church members are probably “baptized and yet unbaptized.” Moses writes that “the LORD your God will circumcise your heart … to love the LORD your God with all your heart and with all your soul” (Deuteronomy 30:6; cf. 10:16; Jeremiah 4:4). Likewise, today, the sinner must undergo an inward change brought by initial repentance and continuing repentance if his outward behavior is to be different from what it was and from that of the world. “First clean the inside of the cup and of the dish, so that the outside of it may become clean also” (Matthew 23:26). The new covenant itself, inaugurated by Christ, makes provision for an inward change that does the will of God from the mind and heart (cf. Jeremiah 31:33; Hebrews 8:10). Repentance is a change of mind regarding sin and God, issuing from a sorrow for sin and resulting in a changed life. The sinner has previously been “Number One.” He has been in charge of his own life. He has been on the “throne,” directing his own affairs according to principles at variance with the true ways of God as revealed in Scripture. Isaiah writes that “each of us has turned to his own way” (53:6), and that people “walk in the way which is not good, following their own thoughts” (65:2). Jeremiah adds that many say, “We are going to follow our own plans” (18:12). The unbeliever leans on his “own understanding” (Proverbs 3:5) and “trusts in his own heart” (Proverbs 28:26). If one would genuinely repent today, he must turn from his “own way,” his “own thoughts,” and his “own plans.” He must cease trusting in his “own heart” and leaning on his “own understanding.” He must come to the realization that “a man’s own way is not in himself” (Jeremiah 10:23). He must turn from self to God and His ways, thoughts, and plans. He must cease living a self-centered life. He must cease directing the course of his life according to what pleases him and begin to seek that which pleases the God of heaven and earth in all things. The person who would be saved must turn from all sin of which he is aware and begin to live a life of godliness and righteousness. One must “repent and turn to God, performing deeds appropriate to repentance” (Acts 26:20; cf. Revelation 2:5). He must “bring forth fruit in keeping with … repentance” (Matthew 3:8; Luke 3:8). He must “turn from darkness to light and from the dominion of Satan to God, in order that [he] may receive forgiveness of sins” (Acts 26:18). The world must be renounced once and for all, and he must begin to live for the “things above” and that which is near to the heart of God (cf. Colossians 3:1-2). Moreover, repentance will produce and require restitution when needed. (Restitution is seeking to make amends or reparations, when possible, for past wrongs committed.) Past offenses must be confessed and corrected, relationships may need to be righted, misdeeds will need to be rectified, and items stolen will need to be paid for or returned. One’s lifestyle may need to be drastically altered. In fact, generally this is the case. The world is too pervasive and the demands of Christ are so serious that people generally will need to change greatly. There needs to be a radical reorientation to all of life. For most people this will mean that friends, family, and acquaintances will definitely notice a change from negative attitudes to positive ones, and a change from negative behavior to a radically different and positive lifestyle. Many may be “surprised” that the one-time sinner no longer enjoys and participates in the same activities because of his new affection for Christ, thus they may ridicule and persecute the young believer (cf. 1 Peter 4:4; cf. vv. 2-5; vv. 12-19). Since repentance is often wrongly conceived as simply a superficial change of ideas about certain denominational doctrines, or a number of Biblical facts presented in an unbalanced way, or “the marks of Christ’s church” (however important a Biblical view of such subjects may be in a proper context), people’s lives are not being deeply changed! They have never genuinely been forgiven, saved, born anew and sanctified! The Holy Spirit is not empowering them and strengthening them in the inner person so as to transform their characters and renew them to the image of God in Christ (cf. Ephesians 3:16; Romans 8:6-14; Ephesians 4:20-24). Let there be real repentance and this will help solve the perennial problems of worldly (often unconverted) young people and adults. This is not to say that if one actually repents he cannot fall into the worldly ways around him but if one is truly converted through the experience of genuine, heart-searching repentance, and through the supernatural Spirit-engendered new birth (regeneration), he at least will begin his walk as a new creation, indwelt by the Spirit of God and will be prepared to live in Christ-likeness. Remember that it costs us nothing to be saved, for Christ already paid the cost of His precious blood for our redemption (cf. 1 Peter 1:18-19), yet, in another respect, it costs us everything if we would live as saved and redeemed bond-slaves of our Master Jesus (cf. Philippians 3:7-8; 1 Corinthians 9:24-27). The standard practice among those known as the “Churches of Christ” is for the “repentant believer” to confess that Jesus is the Son of God. This reflects the emphasis noted earlier, that faith is predominately an intellectual belief in the proposition that Jesus is God’s Son. One confesses this lone fact (usually before an assembled congregation) and immediately proceeds to be baptized. Obviously confession is a proper element in our initial response for salvation and our continued life in Christ. As early as John’s ministry, the people came to him to be “baptized … in the Jordan River, confessing their sins” (Matthew 1:5). In this case, there was a confession of one’s sins and we know of no place where this is explicit in the preaching of the gospel after Pentecost. However, surely there must be an emphasis on sin and its consequences; otherwise, there would be no incentive to repent of sin. Consider now the matter of confession after Christ died and rose again. After Philip preached Jesus, the Ethiopian said, “Look! Water! What prevents me from being baptized?” (Acts 8:36). According to the manuscripts behind the KJV, Philip answered, “If you believe with all your heart, you may. The Ethiopian responded, “I believe that Jesus Christ is the Son of God” (verse 37). (Although no Greek manuscript earlier than the seventh century has this statement, it may well reflect a practice of the early centuries.) Confession of the Sonship of Jesus is quite appropriate since one cannot be saved apart from this great truth (cf. Matthew 16:16-18), and belief of this fact, among others, is necessary for salvation. One confesses outwardly the content of his inward faith. Beyond this, however, Paul speaks of confession. This apostle clearly affirms, “If you confess with your mouth Jesus as Lord . . . you shall be saved; . . . with the mouth he confesses, resulting in salvation” (Romans 10:9-10). In another place he writes that “every tongue should confess that Jesus Christ is Lord, to the glory of God the Father” (Philippians 2:11). It is altogether fitting that the repentant believer confess that Jesus is Lord, for His Lordship is tightly bound to His Sonship as well as His Messiahship (cf. Acts 2:36; 9:20, 22; 16:31; Romans 1:4; John 20:31). It is vital to remember here, however, that confession is not to be an empty, superficial, legalistic requirement, but should express the essence of one’s belief, commitment and allegiance. If he confesses Jesus as God’s own Son, let him realize that He is worthy of the highest honor (cf. John 5:23; Hebrews 1:4-6). If he confesses Jesus as Lord, let him recognize that in this exalted position He is deserving of total submission and absolute obedience (cf. Luke 6:46; Matthew 7:21-23). If he confesses his condition of sinfulness, spiritual deadness, and alienation from God, let him realize that he is unworthy of the provision of salvation freely offered by God (cf. Isaiah 6:5; 1 Timothy 1:13-16). We suggest that many in the “church of Christ” have almost flippantly and half-heartedly replied, “Yes,” or whispered acknowledgment in answer to the question that the preacher asks. Generally, the preacher poses this question: “Do you believe that Jesus is the Son of God?” A perfunctory “Yes” is the common reply. How sad. A mere empty, external form cannot have a place in the response of a sinner to God. The Pharisees of Christ’s day delighted in saying the right things and doing the right things (or so they thought), but their heart was far from God (cf. Matthew 15:7-9). How much wiser it would be for the sinner himself to express his faith that Jesus is Lord and God’s divine Son. It would also seem fitting that the convicted sinner call on the Lord for salvation from his sin. “If you confess with your mouth Jesus as Lord, and believe in your heart that God raised Him from the dead, you will be saved. . . . for ‘whoever will call on the name of the Lord will be saved’” (Romans 10:9, 13). We now come to that which is usually set forth as the most crucial “step” in the “plan of salvation.” It is often looked upon as the greatest “test of obedience.” A favorite phrase used is “obedience to the gospel” (2 Thessalonians 1:8; 1 Peter 4:7; Romans 10:16; cf. 6:17-18). Some employ the phrase for all the “steps of salvation,” while others seemly have baptism preeminently in mind. Members of the fellowship known as the “Churches of Christ” have sometimes been called “water salvationists” and “baptismal regenerationists.” There is a reason for such labels but these derisive terms take the matter to an extreme and are largely inaccurate. Yet the sad truth is that baptism has been so emphasized in public debate, sermons, personal preaching, tracts, and other literature, that in the minds of very many, it has become almost a “savior” or saving act in and of itself. Many view it as an actual “work of righteousness” designed to test one’s willingness to obey God’s will, and see no meaning beyond the mere outward act itself. Sometimes preachers assign forgiveness to the act of baptism itself, either intentionally or ignorantly. One well-known writer asks in a tract, “Doesn’t baptism forgive all the sins one has committed prior to his conversion?” He answers in the affirmative. Another popular writer, in a tract on divorce and marriage, matter-of-factly states, “It is true that baptism washes sins away.” Where is God in all of this? Has God transferred saving power from Himself to an act—any act—of a person? While the above may simply be slips of the pen, or be in the order of 1 Peter 3:21 which affirms that “baptism now saves you,” it may go deeper and reveal an inordinate view of baptism. It is sad that anyone would say that “baptism” forgives sin rather than seeing God as the Great Forgiver of sin! This unbalanced view is reflected in many ways. For instance, when the “steps” are preached, baptism quite frequently receives the major emphasis (quite unlike the new conenant emphasis on faith and repentance). In tracts, books, and other literature this is similarly the case. The subject not only overshadows the other so-called “steps,” but often takes precedence over the person of Christ Himself and His saving activity at Calvary! Admittedly, one reason for this unbalanced presentation is the widespread minimizing of the act and even false teaching on the subject from denominational quarters. (Some theological positions consign the act almost to an insignificant place, postponing it for months, and considering it as a simple “act of obedience.) But does this justify such an unbalanced view that even repels some outsiders because they rightly realize that Jesus is Savior rather than baptism? Is it right to promote that which gives “insiders” an arrogance and false sense of security because they think they are entirely “right” on this “most important” of all subjects? Truth out of balance not only leads to error of belief, it also becomes error in practice. In this case, baptism has received such undue weight that, to many people, baptism is the chief response of the sinner for salvation. Faith itself is sometimes focused on the act of baptism while the Savior is left out or at least relegated to the position of One who commanded the act. Baptism simply becomes the place where one may “contact the blood” and, regretfully, the significance of the “precious blood of Christ” is misunderstood, overlooked, or even nullified. What do these churches believe and teach about baptism? They point out that in New Testament times people believed in Jesus and repented of their sins prior to baptism (cf. Mark 16:15-16; Acts 2:38-41; 8:12; 35-39; 16:14-15; 30-34; 18:8; Galatians 3:26-27; Colossians 2:12). Thus, infants and little children are not proper subjects for the act. They teach that baptism is an immersion in water; thus pouring, sprinkling, and moistening are unscriptural substitutes (cf. Matthew 3:16; John 3:23; Acts 8:38-39; Romans 6:3-6; Colossians 2:12). The design or purpose, and results of baptism are especially emphasized. These churches stress that baptism is “for the forgiveness of sins” (Acts 2:38; cf. Mark 1:4), to be washed of sins (Acts 22:16; cf. Ephesians 5:26; Hebrews 10:22), for salvation (Mark 16:16; 1 Peter 3:12), to enter Christ and put on Christ (Romans 6:3-5; Galatians 3:27), to enter the body or “church” (1 Corinthians 12:13; cf. Acts 2:41, 47), to “fulfill all righteousness” (Matthew 3:13-15), to be born anew (John 3:5), and to receive the gift of the Holy Spirit (Acts 2:38; Galatians 3:26-27 with 4:6). What can we say about the several points above? Scripture does seem to teach that baptism was preceded by faith and repentance. We would go further. Baptism also expressed faith/repentance, partakes of the meaning of these internal heart-attitudes, and thus can be attributed with the same design as these inward responses. Just as John’s baptism was a “baptism of repentance,” a baptism signifying repentance (cf. Mark 1:4; Luke 3:3; Acts 13:24; cf. Matthew 3:8; Luke 3:8), so is the baptism of Christ’s great commission (cf. Acts 2:38). As we have previously noted, many have not genuinely repented (had a settled change of heart regarding sin and God and dying to the self-life), thus their baptism must have been defective and empty. Baptism cannot magically accomplish anything, particularly when full repentance is not present! Baptism surely is to be preceded by faith (cf. Mark 16:16; Acts 8:12; 18:18), but baptism also expresses faith and embodies the faith it expresses. When one is buried in water and rises from it, he portrays his faith in Christ’s death for sins and His resurrection of victory over sin. One is “buried with (Christ) in baptism” and “raised up with Him through faith in the working of God, who raised Him from the dead” (Colossians 2:12). He likewise signifies his own death to sin and resurrection to “walk in newness of life” (Romans 6:3-4). God, therefore, intended that baptism express our turning from sin, our trust in Christ and His meritorious blood, our commitment to live for God henceforth, and our identification with our Lord and Savior, Jesus Christ. Granted, the newly-awakened person cannot be expected to understand the depths of this significant act, nor the breadth of its ramifications, but he surely should have some comprehension of its meaning. Moreover, his faith (even while being baptized) must be fixed upon God in Christ rather than his own obedience. If the act of baptism is merely conceived of as a work of man, motivated by belief in God, how is it substantially different from other works which definitely cannot save? Scripture is clear that we do not have within ourselves the capability of saving ourselves, regardless of our good intentions, righteous works, and obedience to Biblical commands. Paul wrote the familiar words, “By grace you have been saved through faith; and that not of yourselves, it is the gift of God; not as a result of works, that no one should boast” (Ephesians 2:8-9). Salvation is (1) “not of ourselves,” (2) not a “result of works,” but (3) it is “the gift of God.” God saves us “not according to our works,” but according to “His own purpose and grace which was granted in Christ Jesus from all eternity” (2 Timothy 1:9; cf. Titus 3:5; Philippians 3:8-9). It must be this way if we would be saved by grace (cf. Romans 4:16; 11:6). We cannot be saved by works either in conversion or thereafter, during the normal course of life. If baptism is related to forgiveness and salvation, it must derive its significance from that which it is designed to portray—namely, faith and repentance. Baptism is so closely associated with inward faith that both could be considered as component parts of the unified whole and mutual parts of the conversion experience. Baptism is an act expressing faith in Christ, and is often described in the same way as the inner response of faith, and can be referred to as partaking of the same meaning as that which it expresses. Faith itself looks to Christ. It looks away from itself to Christ’s atoning work. It simply relates the sinner (and saint) to Him and His saving act where all saving merit resides. Thus faith is non-meritorious (the same can be said of repentance which is closely related). Obviously, baptism is also non-meritorious, since it simply is an act of faith which is itself non-meritorious. Some think of baptism as a “step” of salvation which has a design different from faith. Thus they say that faith (as well as repentance and confession) are only “unto” salvation, but baptism is “into” salvation or “into” Christ (cf. Romans 10:10, KJV). However, Scripture reveals that, just as baptism is “into Christ” (eis Christ, Romans 6:3; Galatians 3:27), so repentance is “for (eis) eternal life” (1 Timothy 1:16). Repentance is into (eis) “life: (Acts 11:18). The Galatians were commended “to the Lord in (eis) whom they had believed” (Acts 14:23). Those who believed eis Christ received “forgiveness of sins” (Acts 10:43; cf. John 3:16, 18). One believes eis righteousness” and confesses eis “salvation” (Romans 10:10). Therefore, we ask: How can it be claimed that faith only leads one to salvation but baptism alone confers it? Scripture clearly says that one believes eis eternal life, the Lord, Christ, and righteousness (justification), just as it declares that one is baptized eis Christ. 1. Yes, forgiveness is associated with baptism (Acts 2:38; 22:16), but forgiveness is also related to the faith which baptism is to express (Acts 10:43; cf. 13:38-39). 2. True, eternal life is associated with baptism (Colossians 2:12-13; Romans 6:3-5, 11), but life is often related to the faith which baptism signifies (1 Timothy 1:16; John 3:15-18, 36; 5:24; 6:47; 20:31; Acts 13:48, etc.). 3. Admittedly, salvation is connected with baptism (Mark 16:16; 1 Peter 3:21), but it is also related to the faith which baptism indicates (Ephesians 2:8; Acts 16:31; Romans 1:16; 10:9). 4. Yes, the gift of the Holy Spirit is associated with baptism (Acts 2:38), but it is in like manner related to the faith which baptism manifests (Galatians 3:2, 14; Ephesians 1:13; John 7:39). 5. Furthermore, sanctification (set apart from sin to God) is associated with baptism (cf. Romans 6:1-7, 17-18), but it is unmistakably related to the faith which gives baptism its meaning (Acts 26:18). Baptism, therefore, does not have a design different from that of faith (and repentance) which God wants to be expressed in the act. To say that belief leads to baptism, and then baptism saves, is utterly wrong! God saves. He saves by virtue of His Son’s atoning death. Faith responds to the One who is Savior, thus it can be said that faith saves. Baptism can be said to save because of its true meaning, namely, faith in Christ, and because it is directly related to the saving events of the gospel. There is nothing inherent within the act itself that saves. It does not save and forgive by the act itself, as a sacrament, and as falsely claimed by Roman Catholic theology. Likewise, there is nothing within the person who is baptized that deserves to be saved. Baptism is a response of faith; and faith, in turn, looks to God in Christ for salvation! Baptism, rather than being a work of self-salvation, a ground of boasting, or any contribution to our redemption, embodies faith which looks to Christ. It is a renunciation of self and self-effort or any worthy achievement of man, and is an admission of utter dependency upon the mercy of God in Christ. Baptism, then, can mean utterly different things (both positive and negative), depending upon the attitude of the one being baptized and his view of salvation. One cannot misunderstand and be wrong about salvation through Christ, and be baptized right. What more can be said about the design of baptism? In one respect, members of this church body are seeking to be loyal to Scripture and for this we commend them. God’s Word obviously does command inquiring sinners, “Repent, and let each of you be baptized in the name of Jesus Christ for the forgiveness of your sins, and you shall receive the gift of the Holy Spirit” (Acts 2:38). Other aspects of salvation are likewise related to one’s believing response in baptism (cf. Matthew 28:19; Mark 16:16; 1 Peter 3:21; Romans 6:3-11; Colossians 2:12-13; Acts 22:16; etc.). This indicates how important this act of faith is in God’s sight. Baptism is neglected by one at his spiritual peril (cf. Luke 7:29-30). Baptism was invariably an integral part of conversion to Christ, as far as Scriptural evidence is concerned (cf. “all” in Galatians 3:26-27; Romans 6:3; notice also Acts 2:42). This meaningful act must not be minimized, altered, perverted, substituted, postponed, depreciated, or omitted—all of which occurs today in the religious world. Baptism is sometimes placed on the same plane as Christ’s own sacrifice for sin. Some preachers point out that baptism is “for the forgiveness of your sins” (Acts 2:38). This same phrase, including the preposition eis (“for”), is attributed to Christ’s shed blood in Matthew 26:28. Therefore, the argument goes, just as Jesus shed his blood for forgiveness, one must be baptized for forgiveness or to obtain forgiveness of sins. It is true that the same phrase is found in both texts; however a radical difference exists between them. The only basis or ground of forgiveness is Christ’s entirely sufficient sacrifice in which He offered His blood (cf. 1 Peter 1:18-19; Romans 3:24). His was a meritorious act on our behalf. Baptism is “for forgiveness of sins” only in the sense that man responds in baptism through faith to Christ’s atoning death and receives the forgiveness Christ freely provides in virtue of the just sacrifice He has provided. We can never conclude that salvation is a 50/50 arrangement, half resting on Christ and half on us! Infant “baptizers,” particularly Catholics, Episcopalians, Orthodox, and traditional Lutherans (all of whom practice some type of baptismal regeneration), have been justly criticized for relying upon a semi-magical act performed upon irresponsible, helpless infants. Later in life members of these groups often base their eternal salvation upon this earlier ritualistic ceremony, feeling no need to make a personal response of themselves. The practice often causes a spiritual complacency and people, in effect, assume that they are safe and secure because of what happened to them when they were a baby in their mother’s arms! Is it not possible that those who have unscriptural misconceptions about adult baptism, believing that they have now spiritually “arrived” and “made it,” thinking they are now part of the “true church” by baptism, could fall into the same perilous feeling of self-sufficiency and security? Thus, they not only are mistaken about what they think was an earlier “baptism,” but are mistaken about their present status apart from Christ! We think this has happened time and again. It is akin to the nauseating and misconceived doctrine of “unconditional security” promulgated by some of those of the “once saved, always saved” persuasion who wrongly conclude that they can freely indulge in sin with impunity. 1. 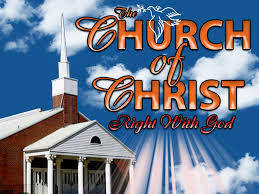 Christ only established and built one church (“My church,” Matthew 16:18). 2. This church is the body of Christ (Colossians 1:18). 3. There is only one body (Ephesians 4:4). 4. Thus, there is only one body and one church. 5. This church has certain identifying marks or characteristics. 6. 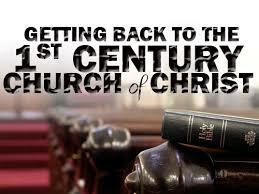 The “Church of Christ” as we know it today meets those list of marks. 7. No other church or religious denomination meets those characteristics. 8. Thus, only the “Church of Christ” is Christ’s church. 9. This is the one true Church and all others are counterfeit. 10. Only the Church is built on the solid foundation that Jesus is God’s Son (Matthew 16:16-18). 11. Only the Church has been purchased by Christ’s blood (Acts 20:28). 12. Only the Church was loved by Christ who gave Himself for it (Ephesians 5:25). 13. Only the Church has Jesus Christ as the Savior of the body (Ephesians 5:23). 14. 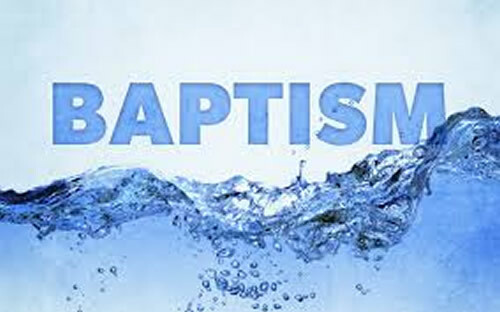 We enter the Church through baptism (1 Corinthians 12:13). 15. Only the saved are part of the church (Acts 2:47). 16. The only ones who are saved are those who have heard, believed, repented, confessed, and been baptized “for the forgiveness of sins” (Acts 2:38). Since the “Church” figures so prominently in the teaching and life of the “Church of Christ,” and since the “Plan of Salvation” and especially Baptism brings us to the Church, we can see why the “plan of salvation” is so utterly important. Since God will only save members of the Church and baptism is the “door” of the Church, only those who are baptized will be part of the Church and only they are saved. It is obvious that we cannot deny many of these points. Only those who are part of Christ’s body are saved, sanctified, forgiven, and born again. Only they have the promise of heaven. And one indeed must come to Christ for forgiveness and only in this way may one be a member of the body of Christ. This is all true and cannot be denied since it is plainly presented in Scripture. But the particular slant that many preachers and members of the “Church of Christ” give to this is somewhat faulty. It amounts to a “Church salvation” rather than purely salvation in Christ Jesus. The early proclaimers of the gospel preached Jesus Christ and not the “Church.” They knew that one would become a member of Christ’s body at the very same time that he would become united to Christ, but there was an entirely different emphasis. It was a focus on God and on Jesus Christ, particularly in His death and resurrection for sin. As Paul put it, “I determined to know nothing among you except Jesus Christ, and Him crucified” (1 Corinthians 2:2). We have now examined briefly how the so-called “steps of salvation” or “plan of salvation” are believed, practiced, and taught by many members in the groups known as the “Churches of Christ” (and, to some extent, in the independent “Christian Churches”). We do not want to leave the mistaken impression that every preacher, or every common member, or every congregation fully endorses every one of the abuses and misconceptions to which I have referred. There are a growing number who have a more Scriptural, more balanced, more Christ-honoring, view of salvation in Christ. Some do truly comprehend the good news of Christ and have a more proper understanding of our response to Him in the conversion experience and in everyday life. · and a radically different personal lifestyle that exalts Christ and follows Him in true discipleship in every area of life. To be content with only one element of Christianity to the neglect of the others is both inconsistent and woefully spiritually inadequate. Some readers may still wonder whether we have accurately and fairly evaluated this whole matter. Are we not blowing the issue out of proportion to reality? After many years of studying this religious movement in light of the truth of the gospel and the basic themes of redemption as revealed in Scripture, we must answer in the negative. You must appraise these issues for yourself. Here are several typical answers. “God saves the sinner by . . .
Several (a minority) were more positive, including phrases such as “Jesus Christ,” “the power of God,” or “the blood of the Lord and Savior Jesus Christ,” but the foregoing responses appear to graphically indicate the defective comprehension of most of those surveyed of the basics of the gospel of Christ. While there is some truth in some of these answers, we can see that they do reveal a woeful ignorance of the very foundation of salvation by grace through faith. Again we point out that there is some good in these and other answers that could have been listed. Yet, the impression is given by many of these responses that salvation is somehow based on what the sinner himself does. Where is Jesus as the sinner’s sin-bearer in all of this? Where is a recognition that Jesus lived a sinless life and laid down His life as a perfect sacrifice and now offers to freely accept the believing sinner upon the basis of the Savior’s redemptive work? When the sinner is told that he must somehow save himself, the message is no longer “good news” (gospel)—but “bad news”! We know that we are not capable of such a feat if we are honest with ourselves, and if we have some comprehension of the depths of our unrighteousness and the demerit of our sin. Someone other than ourself must do the saving. We merely respond by faith to the salvation God offers as a gift of grace (cf. Ephesians 2:8-9; Romans 5:17). Heaven is not like a spiritual vending machine by which a sinner can place “Five Steps” in the proper slots, depress the lever, and behold, out comes salvation! It is not a matter of “so much work” (the five steps and a faithful life, as it is often set forth) for “so much pay” (salvation now and eternity with God). What we do to be saved means nothing unless it is directly related to what Christ did to save us! Any response of the sinner must be an expression of utter dependence on God’s saving work in His Son. Our response is an empty hand extended to receive a free gift. As a summary, we have been examining the general response required of a sinner for salvation as taught by many, if not most, of those within the fellowship known as the “Churches of Christ”—or “churches of Christ.” We have noticed each of the “five steps of salvation” as generally set forth in sermons, personal preaching, and literature. This movement is to be commended for their opposition to the many abuses they have seen and sought to correct in the denominational world. However, as we have attempted to demonstrate, these “steps,” as frequently presented, are woefully inadequate and even a misconception of the response expected of the sinner by Paul and the other apostles. This is not to be viewed as simply an academic matter. It has serious and far-reaching implications for one’s salvation. Scripture is clear that Christ is the only way of salvation available to host humanity (cf. John 14:6; Acts 4:12). Equally clear is the fact that Christ and the benefits of Christ’s redemptive work must be accepted as He has revealed. Salvation may not only be negated by misunderstanding the person and saving work of Christ; it may also be canceled by a failure to properly respond to Him for salvation. This is why we have examined this view of the “plan of salvation” as carefully as we have. · God saves (2 Timothy 1:9). · Christ saves (1 Timothy 1:15). · The Holy Spirit saves (cf. John 6:36). · Grace saves (Ephesians 2:8). · The Gospel saves (Romans 1:16). · The blood of Christ saves (Romans 5:9). · Words save (Acts 11:14). · Faith saves (Acts 16:31). · Repentance saves (Luke 13:3, 5). · Calling upon the name of the Lord saves (Romans 10:13). · Confession saves (Romans 10:9). · Hope saves (Romans 8:24). · Baptism saves (1 Peter 3:21). · Works save (James 2:24). · Obedience saves (Hebrews 5:9). · Remaining faithful to the end saves (Matthew 24:13). The result can be a dreadful insecurity, for if I initially save myself, then I must continue to save myself. Yet I know my own weakness and failings. I then must either deny the extent of sin into which I fall, or have a superficial view of sin (as consisting of a few easily-identified and rather easily-avoided external items), or try to balance sin with my righteousness and good deeds (i.e., have a “spiritual scale” mentality). Or perhaps we embrace a doctrine of “church salvation” (with the idea that, as long as I am in the “right church” where salvation is to be found, I am safe in spite of personal failings). The spiritual implications are serious. All of this may also result in a spiritual arrogance—for if I helped to save myself in the beginning, and continue to contribute to my salvation, surely “I am rich, and have become wealthy,and have need of nothing” (Revelation 3:17a). Like those of old who “trusted in themselves that they were righteous, and view others with contempt” (Luke 18:8), it is possible to have the attitude of spiritual self-sufficiency and self-reliance today. This whole concept leads to spiritual pride, the very attitude that God hates. “God is opposed to the proud, but gives grace to the humble” (James 4:6; cf. 1 Peter 5:5). We assume that there are some so devoid of spiritual perception that they suppose they can approach God and say, “God, I’ve obeyed the ‘five steps’—all the conditions of salvation. I’ve been a faithful church member all of my life. I’ve obeyed all of your commands. You, therefore, owe me a heavenly home.” This attitude is the epitome of works-salvation, self-salvation, and sectarian-salvation. It views life as “doing one’s duty” apart from the “weightier matters” of God’s will. It thinks one can somehow deserve or achieve eternal life. It entirely overlooks or at least minimizes the most significant event in the history of the universe—Christ’s atoning death on our behalf! It is entirely lacking in an understanding of the essence of the good news of salvation through Christ and His entirely-sufficient sacrificial work. It is an attitude that neglects and nullifies the grace of God. With this attitude and concept, one is “severed from Christ” and “fallen from grace” (cf. Galatians 5:4). He cannot be saved! Unlike the concept that produces the arrogant attitude of self-sufficiency, the “gospel of the grace of God” produces an entirely different attitude—one of humility, gratitude and joyfulness. Paul never tired of exalting the “mercy,” “grace,” and “patience” of Christ who came to “save sinners,” among whom he claimed to be foremost of all (1 Timothy 1:13-16). He forever gave God the credit: “By the grace of God I am what I am” (1 Corinthians 15:10; cf. Philippians 3:5-9; Galatians 1:15-16). Paul realized that he was saved by grace in the past, kept by grace in the present, and would be saved by grace at Christ’s appearing (cf. Titus 3:7; Ephesians 2:5-8; Romans 5:2; 1 Peter 1:13). And this grace came in Christ Jesus his Savior (cf. 2 Timothy 1:9; Titus 2:11; 1 Corinthians 1:4; Ephesians 2:7; John 1:17). Grace was the very content of his preaching (Acts 20:24). Now a further word regarding the list of “things that save.” Properly understood, man does have something to do, both to be initially saved in conversion, and in life as a saved person. However, nothing that a man does or can do is meritorious. Nothing provides the basis of salvation, the ground for our redemption, the cause of justification, or the source of forgiveness. What we do simply responds to the salvation God offers in Christ, or constitutes our living out in experience the salvation we have already been granted. We are to “work out” with “fear and trembling” the salvation that is ours (cf. Philippians 2:12). We are saved to serve rather than serve to be saved. This provides an altogether different motivation in life. We serve God and others through love because we have been the recipients of bountiful love (cf. 1 John 4:19; Galatians 5:13-14) and of a grace that has been “freely bestowed” and “lavished upon us” (Ephesians 1:6-8). Hopefully this discussion has helped to clarify the matter of salvation, especially regarding how the sinner is to respond to God to be benefited by Christ’s saving work. We have offered it because of a love for God and a love for those who are oblivious to the real meaning of salvation. In some quarters, the concept of salvation has been so twisted and so covered over by tradition and arguments for denominational debate that people are blinded to spiritual reality. This is quite sad as well as inexcusable considering the fact that among these churches the death of Christ is at least publicly acknowledged each first day of the week in what they style as the “Lord’s supper” (which, regretfully, is often an empty and traditional religious ceremony and form that is dispensed with as briefly and unemotionally as possible). What should one do who realizes now, as never before, that he has never really been saved? He may have been under the mistaken impression that he was forgiven a year ago, ten years ago, or forty years ago, but now realizes that he was never truly born of God. Yes, at one time he thought he “rendered obedience” and “obeyed the gospel,” but genuine trust in Christ was missing, or full repentance was lacking, or baptism was simply an empty form or an effort of self to achieve forgiveness. He may think that he “became a member of the church,” but he now realizes that his focus was on what he thought was the church and not on the crucified and risen Christ Jesus. Perhaps he has felt uneasy for years or perhaps he was so much a part of the ongoing “work of the church” and so indoctrinated by traditional concepts that he was entirely unaware that he was serving by the power of the flesh and seeking to “establish” his own righteousness (Romans 10:3) rather than actually living in Christ by the power of the Spirit (Romans 8:1-2). If this describes you and you have had your spiritual eyes opened (Acts 26:18), you are in the minority. Most are well content to stay where they are, believing the same things, following the same course, being a good “church member” and close their minds to anything that would take away the religious position in which they at least seek to find comfort, security, and some measure of assurance of Heaven. First of all, you must realize your condition before a holy God. Instead of finding security in your “good life,” or in “the right church,” you now stand open and exposed before God (cf. Hebrews 4:13; Romans 3:19). You can no more depend on your relationships, membership or performance than the Jews could rely upon their ancestry, law-keeping or circumcision as a basis of acceptance with God (cf. Matthew 3:9; Philippians 3:2-7). You are yet in your sins; you are yet lost, and you are yet under God’s righteous judgment (cf. Ephesians 2:1; Titus 3:3; Romans 1:32; 2:1-2). All of your good deeds cannot save you (Philippians 3:3-6; Romans 10:3). You are “helpless” to save yourself (Romans 5:6). Only Christ can redeem from sin. Second, you must consider all the sins of which you are guilty (including all the ones you at one time thought were forgiven). Remember that those sins are responsible for the death of the Son of God. Those sins will also drag you down to hell and you will experience the holy and righteous wrath of God (Romans 1:18; 2:4-5). Allow sorrow to fill your heart and tears to fill your eyes because of the countless times you have grieved the heart of a loving God—because of your hardness of heart, selfishness, self-will, and often waywardness (cf. James 4:8-10). Third, you must determine to turn from every sin of which you are aware. You must determine to utterly renounce your own self-will and eagerly embrace the will and ways of God. You must once for all put away the ways of the world and purpose to make Christ the center of your life as He is the center of the universe. As Paul well put it: “They who live should no longer live for themselves, but for Him who died and rose again on their behalf” (2 Corinthians 5:14; cf. verse 17; 2 Corinthians 7:10-11; Isaiah 55:6-7; Acts 17:30). Fourth, if a specific sin or several sins are giving you special trouble, determine to root them out of your life forever with the help of God (cf. Romans 6:1-11; 8:13). Surrender your entire being, you will, your plans, you pleasures, your possessions, your future to the Lord. If outward changes of relationship, occupation, behavior, or activity need to be made, now is the time to purpose to do so (cf. Luke 19:8-10). Fifth, you need to take a long, hard look at Jesus. Since Christ is in the center of God’s plan of redemption and all that we are called upon to do to be saved is directly related to Him, it is vital that you have the focus of your attention preeminently on Him. Read the passages that deal in a special way with the meaning of His atoning death and the significance of His resurrection (this, in fact, should be done before now, but it especially is suitable in producing faith which we now will notice). Read devotionally and study carefully the great sections dealing with salvation and its relationship with Christ (see Isaiah 53; Romans 3:19-30; 5:6-21; 6:23; 1 Corinthians 1:21-31; 15:1-28; 2 Corinthians 5:17-21; Ephesians 2:1-10, 11-22; Philippians 2:5-11; Titus 3:1-8; 1 Peter 2:21-25; 3:18). Read also the summary of sermons that Luke gives us in Acts. Sixth, believe wholeheartedly that Jesus, in fact, is the very Son of God, the Messiah (i.e., the Christ or Anointed One of God), the exalted King with all authority, the Lord (or Ruler) of Heaven and Earth, and the Savior of the world. Accept as true the picture of Jesus portrayed in Scripture (cf. Acts 2:36; 5:30-31; 9:20; John 1:49; 4:42; 20:31; etc.). Believe that Jesus, in fact, did come in the flesh, did die on the cross as a sacrifice for your sins and for those of the world, and was raised from the dead by the power of God to sit in heaven with all glory and authority (cf. 1 Corinthians 15:1-5). Seventh, place all of your trust in God to save you through Christ. Perhaps all of your life you have been trying to save yourself by being good enough, by your knowledge of the Bible, by refraining from certain sins, or by your supposed “membership in the church.” Maybe when you thought you were saved, you were trusting in your own obedience to certain “steps,” or you were relying on your submission to a correct baptism, or you were depending on being in the “right church” to be saved. Now you must transfer trust from all you have done, are doing, and can do, and place all of your trust in the redemptive work of Christ upon the cross. You must depend upon the Son who was “lifted up” on the cross for your eternal salvation (cf. John 3:14-15; 12:32-33). Your dependence and reliance must be wholly in a loving God—rather than yourself, your character, your achievements, your knowledge, your performance, your character, your religious or moral record, your relationships, your preacher or religious affiliation. Although not in a salvation context, the words of Paul give the principle: “We should not trust in ourselves, but in God who raises the dead” (2 Corinthians 1:9). Similar are the words of the Proverb: “Trust in the LORD with all your heart, and do not lean on your own understanding” (Proverbs 3:5). Eighth, confess the content of your faith in God and in the Lord Jesus Christ. The term confess in the Greek means “to speak or say the same thing.” Confess with your lips what God through Scripture has revealed to your mind and heart. If you recognize that you are a lost sinner, it would be fitting to confess this to God and man. (We suspect that Paul repeatedly and with much anguish confessed to God his grievous sins during his three-day prayer season in Damascus before the arrival of Ananias; cf. Acts 9:9, 11.) If you realize that Jesus is Christ, the One chosen of God to be King, and you have placed your faith in Him as Your Lord and the Lord of the universe, as the Son of God the Father, and as your Savior from sin—freely confess this. Ninth, the Lord calls upon you to be baptized in His name. At this point some may feel uncomfortable and be reluctant to proceed since they have experienced an immersion in water previously, and this was thought to be Scriptural baptism at the time. However, you should not hesitate to be reimmersed (rebaptized) if you come to the conclusion that your previous immersion was woefully defective in some way. You may recall that the twelve Ephesian “disciples” (i.e., disciples of John) found it necessary to be “baptized in the name of the Lord Jesus” although they had previously been baptized “into John’s baptism” (Acts 19:3-5). Perhaps thousands of Jewish converts who had previously submitted to proselyte immersion were likewise immersed into Christ after hearing the gospel. We can probably safely assume that literally tens of thousands of those who were on the rolls of the “churches of Christ” have been reimmersed because of dissatisfaction with a previous baptism. (Probably even some of these reimmersions misconceived the meaning of baptism because of previously mentioned reasons. As a note of interest, numerous Baptists have likewise been reimmersed since some Baptist denominations will not accept baptisms which were performed by other Baptist groups or other denominational bodies. We only mention this sectarian type of baptism as an example of reimmersion, for probably neither the first “baptism” nor the sectarian “rebaptism” in such groups constituted true Scriptural baptism.) If a previous baptism or previous baptisms were not Scriptural (for any reason noted above), you need to clarify in your mind why this is so and what real immersion into Christ actually is. Keep in mind that your trust must be in Christ, not in baptism per se or your “obedience” to the Lord in this act. Let your reimmersion (actually your first true baptism into Christ) portray your faith in the crucified and risen Savior, and embody your death to sin and resurrection to walk a new life in the power of the Spirit. You will be making a clean break with sin and beginning a new life of complete commitment to Jesus as Lord. Also bear in mind that which God has so graciously provided for you in His Son as you humbly and trustfully give yourself to Him. “Dear friend, you have now come confessing your faith in Jesus Christ and indicating your desire to be baptized into Him. This is the most significant time of your life, for you are separating yourself from sin and the world and are identifying yourself with God, His cause, and His family. You will no longer live according to that which pleases you, but will henceforth live for Christ, loving God with all of your heart, soul, mind, and strength. You will be baptized into Christ and His death, and will be raised through faith, to walk in newness of life. I encourage one who is being baptized to not be overly concerned about the water, the weather, the coldness, any spectators, or the unfamiliar surroundings. Rather, let him fix his mind on his Savior when he is baptized. He could well think of truths such as “death to sin” and “alive to God” or other such thoughts at the actual time of baptism, as well as conversing with Christ Himself (as mentioned before). God, however, does not accept baptism because of everything being “perfect” but He looks at the person’s heart and sees his intentions and the object of his trust. What could those on Pentecost know after one sermon and little more (Acts 2:37-41)? How much could the Ethiopian comprehend after one session with Philip (Acts 8:26-39)? How deep could the pagan jailer’s understanding be after hearing the word of the Lord in the middle of the night (Acts 16:22-34)? (We should realize that there will be much growth of understanding after baptism, thus one need not be rebaptized simply because his knowledge of Christ and salvation deepens. Baptism is a one-time act and is not to be repeated if one’s first baptism was entirely Scriptural, within the context of Scriptural conversion to Christ and a Scriptural experience of salvation. Whenever you as a believer rise from the baptismal waters, allow your heart to spontaneously be lifted to the God of your salvation in praise and adoration! Prayer should be the normal, spiritual experience of one who has made this significant and far-reaching response to his God (just as Jesus prayed at His own baptism, Luke 3:21). Others could join in prayer, perhaps with laying on of hands, entreating God to allow the power of the Spirit to be exercised in your life (cf. Acts 19:6; Galatians 3:14; 4:6; note also the Spirit in relation to Jesus’ own baptism: Matthew 3:16-17; Mark 1:10-11; Luke 3:21-22). The joy of the Lord will permeate the whole experience—including the angels of God in Heaven (cf. Acts 8:39; 13:52; 16:30-34; Luke 15:7, 10)! It would be helpful and bring joy to your heart, after making such a response, to spend time studying the great blessings that are yours as a believer in Christ. Relevant topics would include justification (accepted by God as righteous), redemption (bought from the slavery of sin by Christ’s blood), regeneration (the new spiritual birth into God’s family), sanctification (set apart from sin to God), forgiveness (removal of sin and its guilt), reconciliation (reunited to God), adoption (placed as a son and heir of God), and salvation (past, present and future). A study of such meaningful gifts, blessings, and experiences will thrill you as you comprehend more fully the riches that are yours through the Lord Jesus Christ, His death, resurrection, and present session in Heaven. God has indeed “blessed us with every spiritual blessing in the heavenly places in Christ” (Ephesians 1:3; cf. verses 3-23)! Your life after making this initial response is to reflect your position in Christ. As Paul wrote, “As you therefore have received Christ Jesus the Lord, so walk in Him, having been firmly rooted and now being built up in Him and established in your faith, just as you were instructed, and overflowing with gratitude” (Colossians 2:6-7). You would do well to study the privileges and responsibilities that come because of your new spiritual status. Consider that you are a child of God the Father, an heir of God’s riches, a saint or “holy one” (one separated from sin to God), a disciple (a follower and learner) of Jesus, a Christian (one who is of “Christ”), a servant or slave (belonging to Christ), a brother or sister (belonging to God’s spiritual family). Use your Bible to examine all of these terms, noting the blessings of grace and the solemn obligations you have to live so as to reflect your position in the Lord. Now that you have truly repented, continue to live a life of repentance. As you discover that your life is out of harmony with God’s will for you in any particular, repent and change this area, and thus be further conformed to the image of Christ. “Put on the new self, which in the likeness of God has been created in righteousness and holiness of the truth” (Ephesians 5:24). “You laid aside the old self with its evil practices, and have put on the new self who is being renewed to a true knowledge according to the image of the One who created him” (Colossians 3::9-10). You are now to follow the example of Jesus your Lord, and are to allow the Holy Spirit to work actively in your life to produce spiritual fruit (Galatians 5:22-24). Maybe you have been spiritually dissatisfied or confused for some time and this discussion has served to open your eyes more fully. Do what you can to point others to “the gospel of the glory of Christ, who is the image of God” and pray that God will more fully reveal to you and others “the light of the knowledge of the glory of God in the face of Christ” (2 Corinthians 4:4-6). Perhaps you have been newly awakened to the fact that you actually are unsaved. You really do not know God personally and experientially, and have never been savingly received by Christ. This may be a shocking realization for you, and you still cannot put all the pieces together. Maybe you are chagrined in having challenged those in the “denominational world” to be saved and now you realize that you too need to be saved from sin. (No doubt this would be similar to Paul’s realization that his previous zeal, devotion, and work were misdirected. He also needed to make a drastic change in his thinking and practice. Cf. Acts 9:3-22; Galatians 1:13-16, 23; Romans 10:1-4). You may be angered at the religious “system” and traditional preaching that caused your own deception for many years. Or you may be bewildered, not knowing what to do; or embarrassed in having to admit your ignorance; or ashamed because you must face others and admit your wrong. Whatever your feelings or whatever your present situation, take time to thoughtfully, prayerfully, study these issues. Read over this study again. Perhaps put your ideas down on paper that you may be better able to understand them. Keep the Lord Jesus Christ and the “good news” (gospel) of the grace of God (cf. Acts 20:24b) constantly before you, evaluating salvation in this marvelous light. “Come to Me, all who are weary and heavy-laden, and I will give you rest. Take My yoke upon you, and learn from Me, for I am gentle and humble of heart; and you shall find rest for your souls. For My yoke is easy, and My load is light” (Matthew 11:28-30). “Where sin increased, grace abounded all the more, that, as sin reigned in death, even so grace might reign through righteousness to eternal life through Jesus Christ our Lord. . . . for the wages of sin is death, but the free gift of God is eternal life in Christ Jesus our Lord” (Romans 5:20b, 21; 6:23). One website has a home page with the selection offered: “What must I do to be saved.” When one clicks this, he is taken to a page entitled, “Plan of Salvation.” The author presents a chart on conversions in Acts. Columns are given to “heard,” “believed,” “repented,” “confessed,” and “baptized.” The chart reveals that each conversion included baptism. This kind of chart does have an important place in graphically showing the importance of baptism in conversion. The writer of the chart lesson states: “The Bible teaches that baptism is for the remission of sins. Every person whose conversion is recorded in the New Testament was baptized. Why do so many tell us that baptism has nothing to do with conversion?” Under the chart, the writer lists the “steps of salvation” and offers a Bible verse for each one—including Hear, Believe, Repent, Confess, Be baptized, and Live faithfully unto death.” Finally, at the end, we see the admonition: Return to the divinely authorized plan of salvation. In contrast to the previous presentation, you will notice that this one plainly says that we are not saved by personal effort but by the sacrificial death of Christ. We respond to this by faith in Christ that will lead us to be baptized. We have no way of knowing what place this congregation gives to repentance. At least, this presentation appears to be a more balanced way of looking at this subject. While there is some truth to all of these statements, one continues to receive the impression that salvation includes God’s part and Man’s part—that it is a 50/50 arrangement. It would be much more accurate to emphasize that salvation is fully and completely the work of God in Christ Jesus, and the way we respond to this is through a repentant faith expressed in baptism. We might also notice that “man’s part” consists of six points that have a definite legalistic slant to them. It is far different from what a balanced treatment of the gospel would suggest. As we go to another congregation’s website, we notice a selection entitled, “God’s Way of Salvation.” (home.hiwaay.net/~wgann/sermons/salvat.htm) In this case, the writer begins with the question, “Why did Jesus come?” He answers this by citing Luke 19:10 and John 10:10. The next point is “Who may be saved?” This is answered with a reference to John 3:16 and 2 Peter 3:9. The third point in the article: “Obedience is necessary.” Here Matthew 7:21 and Hebrews 5:8-9 are quoted. Next comes, “Faith is necessary,” where Hebrews 11:6 and John 8:24 are quoted. After this, we have, “Repentance is necessary,” with Luke 13:3 and Acts 17:30 quoted. After this comes, “Confession of Christ is necessary,” and Romans 10:10 and Matthew 10:32 are quoted. Then comes, “Baptism is necessary,” with Acts 2:38; 1 Peter 3:21; and Acts 22:16 are quoted. After this, we read, “Works are necessary,” and this is proved by John 6:29; Philippians 2:12; James 2:220, 24, 26. In this presentation of “God’s Way of Salvation,” we again have the impression that we contribute much—even most—to our own salvation. Further, the way all of this is presented, we see the “steps of salvation” concept clearly portrayed. You might also notice that there isn’t a word about Christ’s saving death and resurrection in this presentation. So then, what are these acts of obedience, steps of salvation, that are an active proof of our faith? e. As an act of humility, faith and obedience we will immediately submit to baptism Acts 22: 16; Gal. 3: 27; 2 Cor. 5: 17; 1 Pet. 3:21; Acts 2: 38.
f. Now, as “New Creatures” it will be our desire to remain faithful at all times, rising to walk a New Life (Rom. 6: 4). We can read of many who were faithful to God in Heb. chapter 11, the book of Revelation, chapter 2 and verse 10 teaches us that God expects us to remain faithful, even unto the point of death. Again in this presentation, we receive the definite impression that we must comply with these “steps” to be saved and there seems to be very little interest in relating this to the good news of Christ’s saving death and resurrection. The Bible speaks of people who are saved by faith, but it also mentions others who have “faith,” yet are not saved. What then is required in order for a person to “believe to the saving of the soul” (Hebrews 10:39)? Saving faith requires 3 things. First is conviction. One must be convinced in his heart that God exists – Hebrews 11:6. Yet, this conviction alone is not enough to save, since James 2:19 says that demons believe there is one God, but they are not saved. So, something more must be required in order for one to have saving faith. Faith also requires trust in God. One must depend on God as the source of salvation. Daniel was saved from the lions, because he believed in God (Daniel 6:23). He did not just accept in his heart that God exists. He trusted God to deliver him from the lions. Yet, one does not really trust God unless he has the last element of faith, and that is obedience. Now, many people will tell you that you are saved by faith without obedience. But the truth is that faith that does not obey is faith that does not save. James 2:14-26 shows that faith without obedience cannot justify, because it is dead and barren. Hebrews chapter 11 is the role call of Old Testament people of faith. But, when you study their lives you will see that every individual was rewarded by God only after his faith led him to obey God – never before that! It is said that years ago a man was about to push a wheelbarrow across a tightrope over Niagara Falls. He asked the crowd how many believed he could make it. Many held up their hands. Then he asked them how many had faith enough to ride in the wheelbarrow! No, you do not need to cross Niagara Falls in a wheelbarrow to please God, but you do need the kind of faith that leads you to act in obedience to His revealed teachings. Once again, we can see that the major thrust in the requirement of faith is the issue of obedience. We acknowledge that faith should and must lead to obedience; otherwise it is not saving faith. However, surely faith is something more than a means toward obedience. God is glorified when a person is willing to believe Him and trust in Him and in His promises. Furthermore, surely saving faith is a faith directed toward Christ and His saving death on the cross for our sins. It is a trust and reliance on what Christ has done for me in bearing my sins! Similar to the above, another website has the “Plan of Salvation” on a page. (leicester-churchofchrist.org/plan_of_salvation.html). Under this heading, they have a five-step “plan”: (1) Believe, (2) Repent, (3) Confess Jesus, (4) Be baptized, and (5) Live faithful life. Apparently it is commonplace, even normal, for these churches to focus on what man must do to be saved by the Sovereign God. Again, the impression is left with the reader that one may be saved by what we do, without consideration of what God has already done for our redemption! God’s children in the first century were Christians, nothing more, nothing less, nothing else. The thing that made them Christians will also make us Christians now. 1. The first requirement of the gospel is faith. A person must believe in Jesus Christ as the son of God to be saved. Jesus said in John 8:24, “If you do not believe that I am He, you will dies in your sins” (compare with Acts 8:37; Hebrews 11:6). “Faith comes by hearing, and hearing by the word of God” (Romans 10:17). 2. The Lord requires repentance (Luke 13:3; Acts 2:38). Repentance involves Godly sorrow, which leads to a change of mind, resulting in a reformation of one’s life (see 2 Corinthians 7:9). 3. A confession of faith in Jesus Christ as the Son of God is prerequisite to scriptural baptism (compare with Acts 8:36-38; Matthew 10:32; Romans 10:10). 4. In New Testament times, no one was recognized as being “in Christ” (where salvation is found, see Ephesians 1:7) unless one had submitted to the commands of baptism (immersion) for (or unto) the remission of sins (Acts 2:38; Romans 6:1-11; Acts 22:16; Galatians 3:26-27). There is absolutely nothing denominational in any way whatsoever about that. But men denominationalize these teachings; they say we are saved by faith alone (which is not true, see James 2:14-26). Men say baptism is non-essential; the Bible says baptism “saves us” (1 Peter 3:21), and that it is the place where we access the blood of Christ which is the cleansing power (Acts 22:16; Romans 6:4). False teachers denominationalize the truth by saying sprinkling and pouring are just as good for baptism as immersion. The Bible teaches we are buried and raised in baptism (Romans 6:4; Colossians 2:12). Is this H-B-R-C-B formula (hear, believe, repent, confess, be baptized) the whole story? Is this all that a sinner needs to know to be saved? No, each of these “components” or “factors” in the human response must be related to Jesus Christ, the Lord, the Son of God, the One who sacrificed Himself for the sins of the world. This shows that this “plan” becomes so familiar and so codified that it needs little more. As I researched this point, I went to many websites to examine what these churches believed about God’s “plan of salvation.” I could have included dozens of other examples on these pages, and many of these simply listed the above “steps of salvation” as God’s divine “plan of salvation” for the redemption of mankind. Unless you repent, you will all likewise perish. Therefore bring forth fruit in keeping with repentance. Repent and let each of you be baptized in the name of Jesus Christ for the forgiveness of your sins. …who refused to obey God long ago in the time of Noah. God was waiting patiently for them while Noah was building the boat. Only a few people — eight in all — were saved by water. And that water is like baptism that now saves you (NCV). Surely no one can refuse the water for these to be baptized who have received the Holy Spirit just as we did, can he? As we have seen so many times before, here again we see that “God’s plan of salvation” is thought of as being certain “steps of salvation” that are believed to be the epitome of this plan. Christ Himself and Christ crucified are largely absent. The very center of salvation does not have the place that it deserves—and must have! Most of these and other presentations that we could have included give us largely a man-centered salvation, an obedience-centered salvation, or a works-orientated salvation—instead of a Christ-centered salvation! [i] In some respects we feel uncomfortable using this term since the early believers did not have an exclusive, official, identifying name. In these pages we refer to the “church of Christ.” Some would freely use the capitals in reference to this group, “Church of Christ,” while others would contend that this is denominational in thinking. [ii] We use this term in an accommodative manner with reference to the more conservative, non-instrumental branch of the American “Restoration Movement” which began in the nineteenth century by Campbell, Stone, Scott, and others. Thereby we do not indicate an endorsement, without qualification, of such a name. [iii] This present booklet is an attempt to reissue an earlier study written about 1985. The present one has been reworked and updated to reflect more seasoned thought and study but the basic content remains unchanged. [iv] I refer to the large and liberal churches, mainline ones, the smaller conservative ones, the “non-institutional” and premillennial churches, various “one cup” churches, mutual ministry churches, non-Bible class churches, and others.